Kelsey Wen is from China and is studying an Executive Master of Arts at University of Melbourne. She was an intern with the Melbourne Writers Festival from May to September 2017. In this update, Kelsey writes about her experience as an intern with MWF, and talks about the benefits of volunteering. In my first semester, I got a chance to have a conversation with my internship coordinator. Since I had little work experience, she encouraged me to do some volunteer jobs. As I was volunteering and studying, I kept thinking what job I would like to do for my internship and my future career, then I found my favorite job is doing project. Melbourne is such a wonderful city with diverse festivals and cultural experiences. The interesting part is, when I was Googling if there was a festival about books, Melbourne Writers Festival popped out. MWF is the one I thought I must go to, since it’s a celebration for everyone who reads. Afterwards, it seems like the butterfly effect, more things about MWF came to my life. In June 2016, MWF's general manager Shona Barrett gave us a speech in a class. I got to know how MWF's core team program the whole festival. A few days later, my course coordinator brought to us two documents which were information about two Melbourne Writers Festival projects. I expressed my interest since I was keen on the Culturally and Linguistically Diverse Project. In November, through several meetings MWF and Faculty of Arts, a project named Engaging Melbourne's International Students was customized for me. Given that my project is doing international student research, My Place in Melbourne, the storytelling competition for international students was the best opportunity that I could work on. My key responsibilities were going to meet international students, researching international student groups and organizations, and helping the 'My Place in Melbourne' competition reach to more international students. Participating in the ‘My Place in Melbourne’ storytelling competition was an unforgettable experience. On one hand, writing my own story was a reflection of my time and experience in Melbourne. It reminded me of many great people I met here who helped me a lot, even one of my friends did me a favor to edit my story, I really want thank them. On the other hand, reading stories written by international students was a bonus for me. It felt like I was experiencing different Melbourne lives through their words! In addition, the most exciting part was attending the event and meeting the writers of my favorite stories! I was so happy when hearing that they had great time at the event! In a nutshell, doing a project and working in a team was a great chance for me to learn from others. Meeting international students and reading their stories encouraged me to explore more in this city. And one more thing I’ve learned is that we should always have fun! From my perspective, this internship was an opportunity to practice what I had learned in my course. Subjects in my course, such as professional communication, project management and critical and creative thinking, are related to professional skills. However, application of theories in a real world can a different story. For example: in the class we discussed communication in terms of target audience, channels and key messages, then while in a working environment, communication became more detailed and also broader than just those things. I discovered communications relates to how to write an email, how to communicate with the MWF team, and even with the partners like Study Melbourne and international students. Moreover, execution at work requires not only doing things fast and long, but also thinking critically and creatively. Therefore, professional skills like communication and problem solving are abilities that only can be obtained when having a real problem to solve. Even though I will go back to China after graduation, the experience of working with the MWF team and participating in My Place in Melbourne developed my skills in professional communication, execution, and problem solving, and more importantly, it has built my confidence in pursuing my career goal. Working with people from diverse backgrounds is a challenge, but I really enjoy doing that! Melbourne is famous for its diversity, people embrace difference and respect different cultures, which makes me feel comfortable in any diverse group. Nevertheless, when I work with people from diverse backgrounds, I am always impressed by how we are similar rather than different. Furthermore, we also benefit from different views and methods for one problem and innovative solutions generated by cultural collisions. Volunteering is an important channel to discover new things and get to know yourself better. The most impressive part of my volunteer experience is that I always found the connections between the volunteer job and the other things I am doing. In addition, one volunteering opportunity can bring you to the next opportunity, even though you don’t know what it is at that moment. 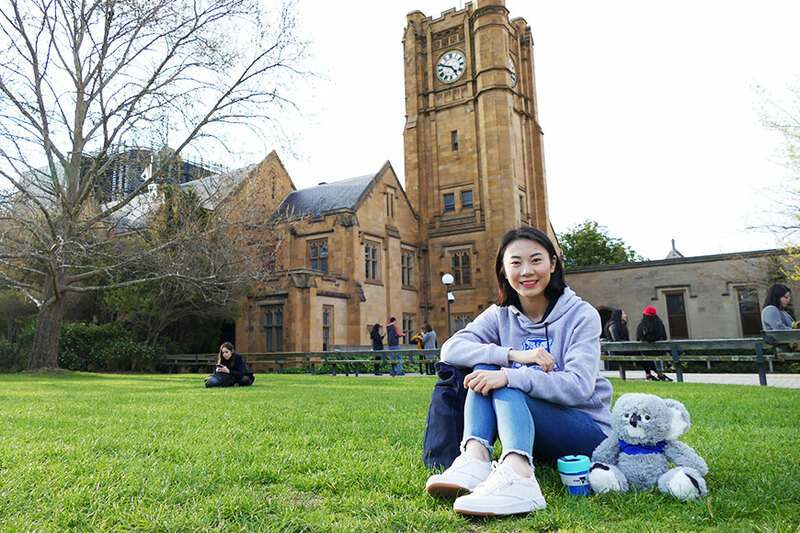 Kelsey Wen is from China and is studying an Executive Master of Arts at University of Melbourne. She was an intern with the Melbourne Writers Festival from May to September 2017. Photo supplied by Kelsey. See more Study Melbourne student stories.